The Global Morning Show’s unofficial mascot, Mustard holds a special spot in my heart. He’s pretty hard to resist! Learning only about the Bark for Life walk a few days before, Mustard partnered up with Sadie, Stringer and Hudson to raise money to conquer cancer. On October 5th Team Mustard was there in full force raising $810 for the Canadian Cancer Society in less than a week. 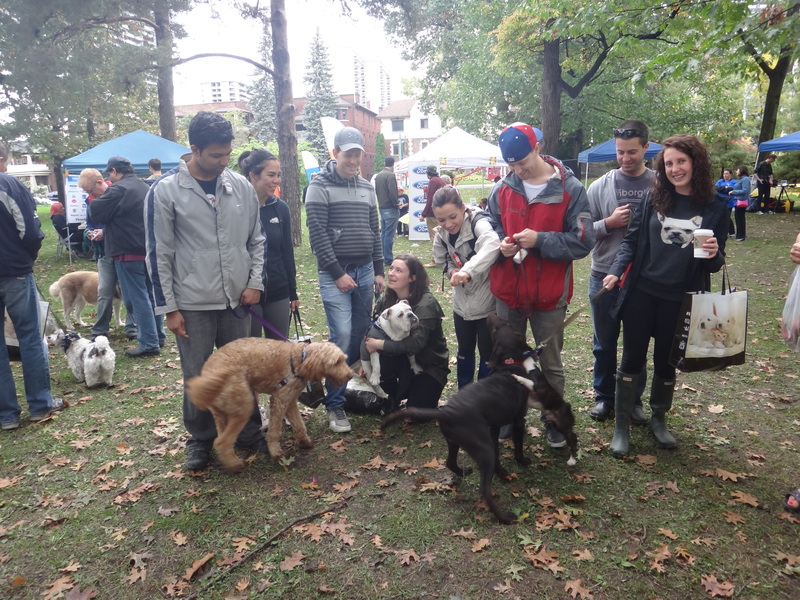 We all had a great time on the walk and there were lots of activities even doggie massages! Here’s Mustard in action on the big day. 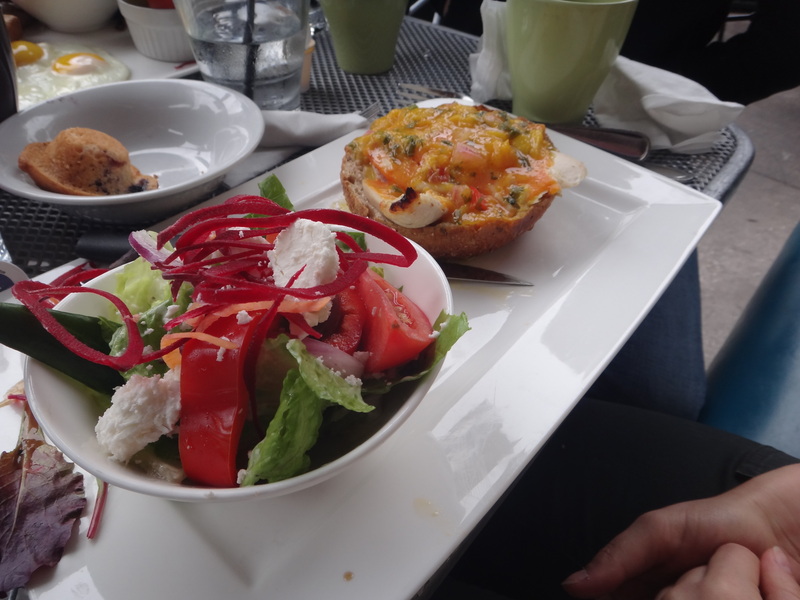 After a fun morning, we decided that brunch was in order and managed to dine al fresco at Brownstone Bistro. 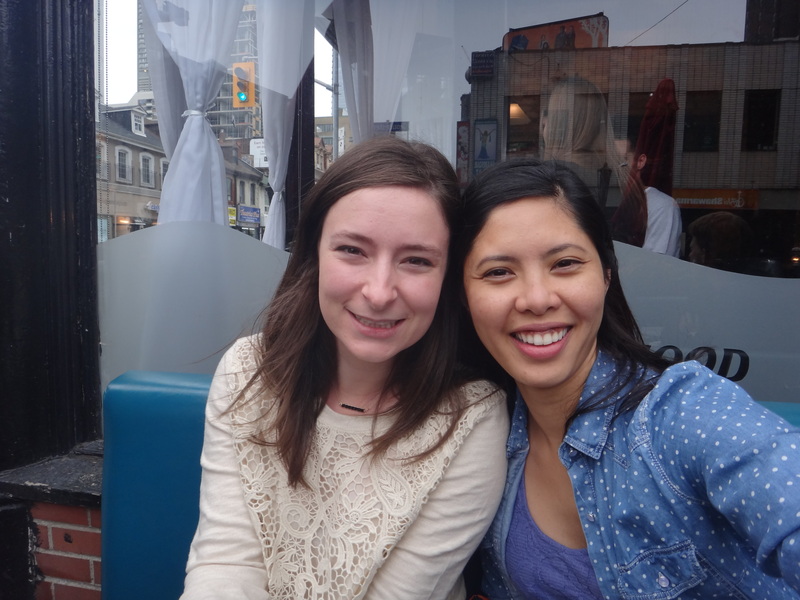 Patio weather in October – we couldn’t have asked for more! 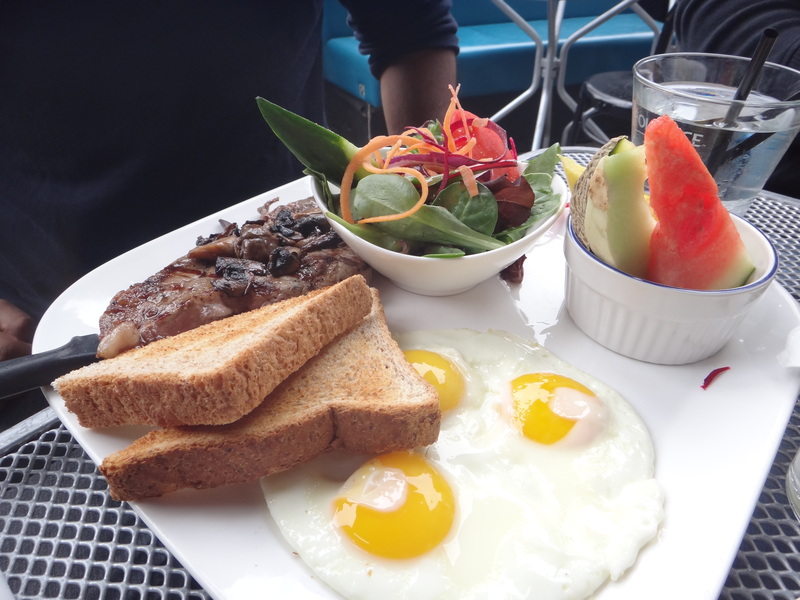 Brownstone Bistro is just two blocks south of Yonge and Bloor. 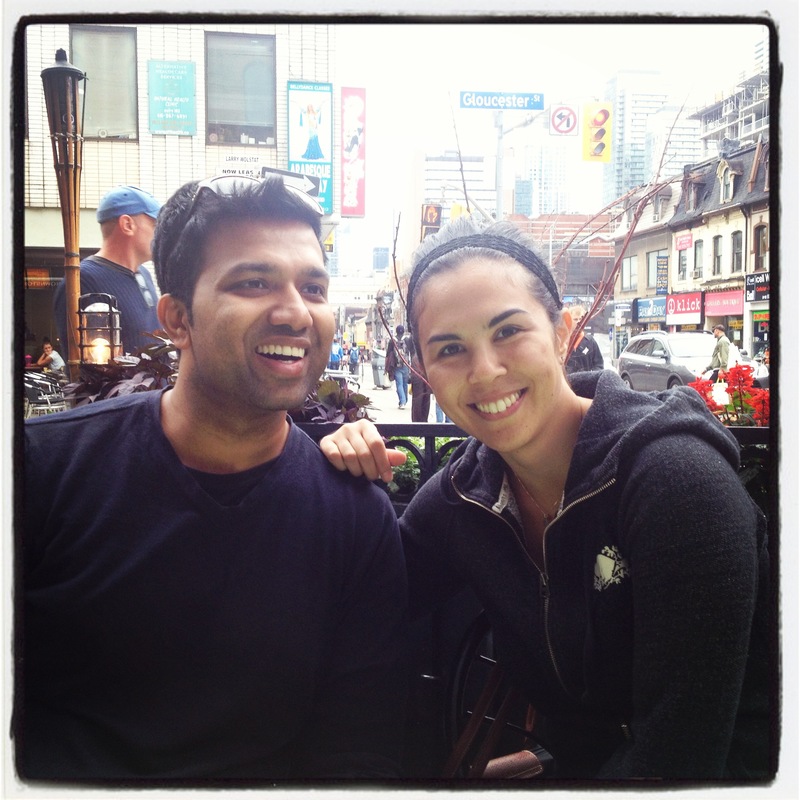 It was our first time trying this restaurant and we were very happy with the food and service we received. Everyone was very nice! They have a very broad and eclectic menu and we ended up choosing a few unique options. Rachel went with the California Melt – an open faced sandwich with Chicken, Avocado, Tomato, Mozzarella, Cheddar and Mango Salsa. CALIFORNIA MELT – open faced sandwich with mango salsa, chicken, avocado and cheese. Delish! Gorgeous, non? 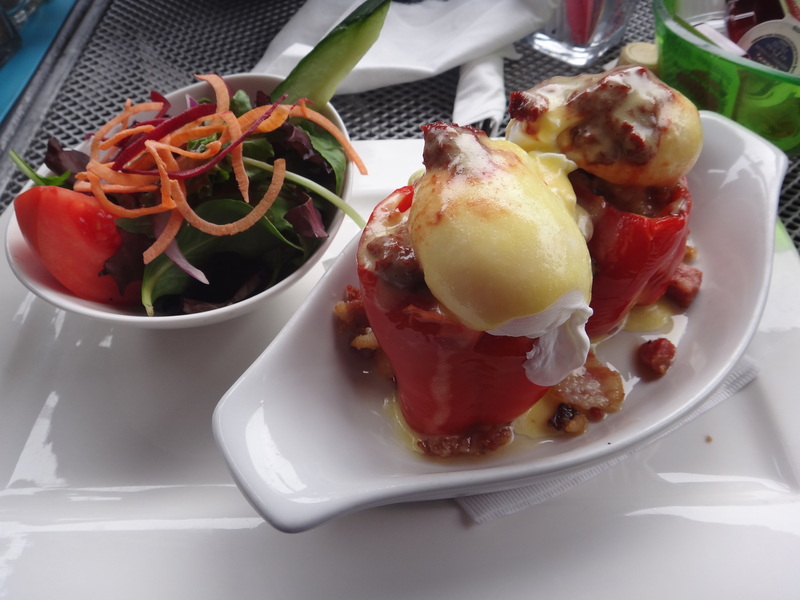 Stuffed Peppers with bacon, sausage and hash brown topped with poached eggs and chipotle hollandaise. As good as it looked! 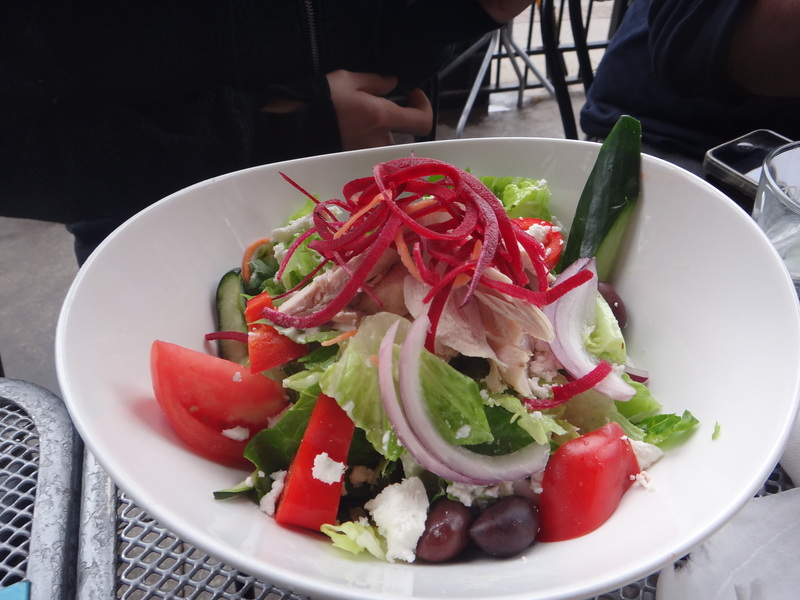 Overall they have a great menu with more than your average brunch classics, a great location and really great staff. Thanks again to Brownstone Bistro for a great meal and amazing service. Can’t wait to try some more of your brunch menu again! 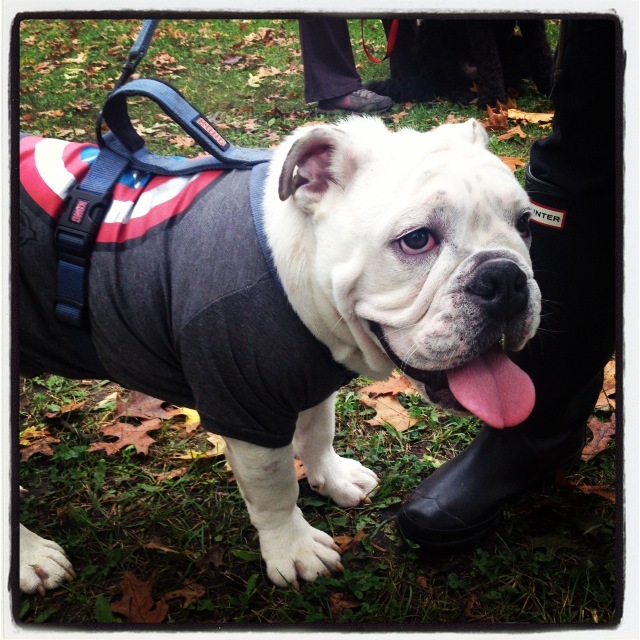 If you missed donating to Mustard’s Bark for Life campaign you can still donate to his team HERE! Hope you had a wonderful Thanksgiving Holiday! 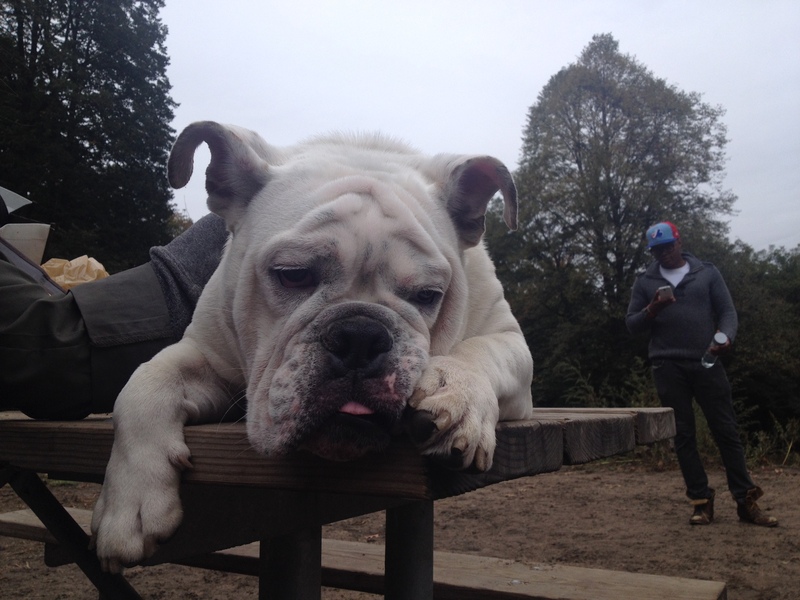 Mustard was a little tired from his big morning.